Yea for the iliopsoas connections! I know my students think I’m iliopsoas obsessed… and perhaps they are right. I see its influence not only in dancers, but in vocalists (tightness in iliopsoas influences their ribcage movement) and athletes… okay… in everyone! I vow to maintain good alignment throughout my years – and so iliopsoas stretching is a daily activity for me. This was a wonderful unit where we talked about what made for a successful dance class and even more succinctly – what would an ideal day as a dance student look like? It’s so important to take the time to reflect on how you mentally and emotionally set yourself up for any important situations. 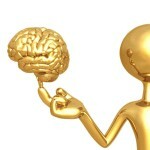 I think we all have the intelligence to make conscious choices that will enhance our results. The trick is to take the time to reflect on your current patterns of thinking and feeling so you know what works and what doesn’t! Yippee! It’s wonderful she understood what was pulling her into a swayback posture, and corrected that – and as important – she understood that standing in anatomical alignment is a neutral posture. If you have to engage muscles to simply stand up – then you are adding on a layer of muscular resistance into your movement. For example, in first position the deep lateral rotators need to be turned on to maintain the turnout that has been set up by where the feet are placed, but if you are also engaging the gluts to correct the pelvic alignment it’s possible you might be limiting the range of motion at the hip because of creating excessive tension in the muscles around the joint. During my assessment of these dancers that there were some that tested with a greater range of motion at the hip joint than they were functionally using. Their rotators didn’t have good tone – which would be strong and flexible – instead they were tight and a little weak. This was a fun exploration! After doing some isolated breath exercises we practiced breathing and moving. Sounds a bit weird – right? In a nutshell, we did a few simple exercises and played around with different breath patterns – using the breath to endow the movement with ease and energy and noticed what worked and what didn’t. We did some practicing of holding the breath during movement and then deliberately focusing on maintain the flow of breath during movement. The focus was on noticing how breath physically influences movement results. The alignment of the upper body has so much to do with how others perceive us. We know that dancing can be hard work – but a common goal is to make it look easy and graceful – and the carriage of the upper body helps to create that. Finding the connection between tight lats and lifting the ribs when taking the arms into 5th en haut was an aha moment for me some years ago. Using the abdominals to ‘pull the ribs down in front’ just doesn’t work when the reason for the rib lift is tight lats. You’ve got to stretch the lats (I use a C curve stretch in a doorway) and then watch the smiles appear as they raise their arms up! Some of you who have been following me for a while know that my stretching technique has changed over time. I still love to do slow, passive, breathing deep stretches at the end of a workout. There is a time and place for more passive stretching – plus it just feels so good! But the type of stretching that I do more of these days is dynamic stretching – which helps to remold and release tightness in the fascia. Overall my take away from the week of teaching is sticking with my belief that education is a path to empowerment. It is why I am a teacher – there is nothing better than watching someone integrate new information and own it – because they understand the concept or their body in a new way. I’m clear who is doing the transformation. It’s them. They are doing the work. As teachers we can only offer information in multiple ways hoping that one of those ways will connect with our students and they can integrate and use the information for the betterment of their dancing. How cool is it to be a teacher? Pretty darn awesome in my opinion – and so I dedicate this post to the amazing students at TCU – thanks for such a rewarding teaching opportunity!